Incorporated in 1993, Oceanic Foods Limited is FSSC 22000 complied Company engaged in manufacturing of dehydrated food products. The company exports dehydrated vegetables to various countries around the globe. Its products are internationally certified by US FDA, Kosher and Halal and are domestically certified by FSSAI, and APEDA. The company currently has two manufacturing units spread over more than 5 acres in aggregate. Unit I is situated at Lalpur, Jamnagar spread over 5 acres and Unit II situated at Jamnagar spread over half acre. Unit I is an automated plant where primary process of dehydration is carried out at Unit I which includes peeling, washing, slicing and steam drying. Unit II carries out Secondary Process of Dehydration which includes oven drying and toasting. We purchase 100% raw material i.e. Onion locally from Gujarat and Garlic from Maharashtra, Madhya Pradesh and Rajasthan. Oceanic Foods IPO also has an in-house Laboratory for testing the quality of its products. 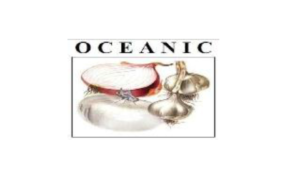 Oceanic Foods IPO allotment status is now available on Link Intime’s website. Click on this link to get allotment status. what is the allotment and the listing date. The issue is small. Promoters seems much ambitious for production expansion and export business promotion.